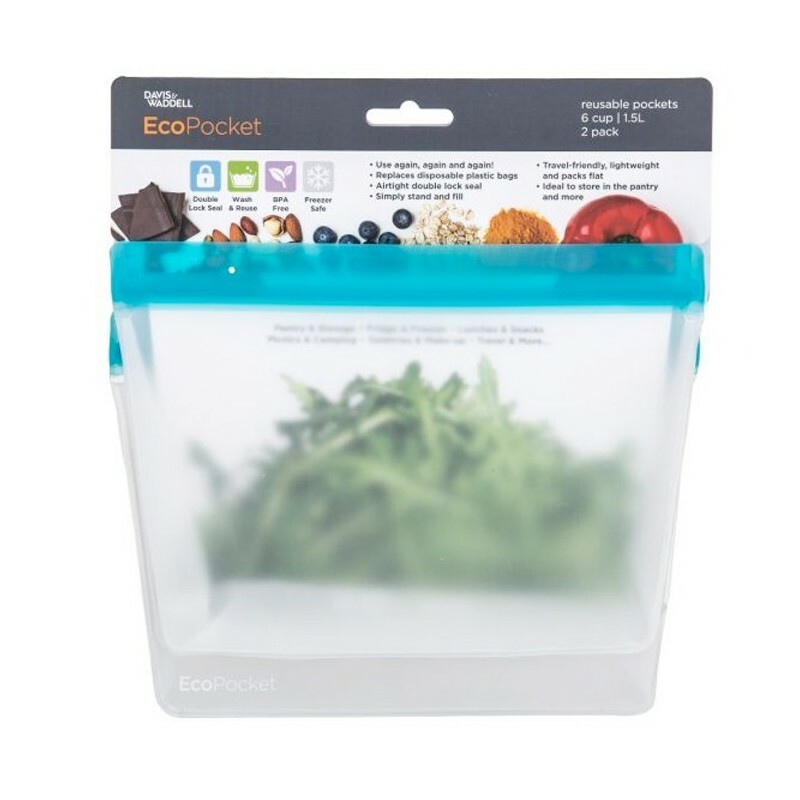 Replace single-use plastic ziploc bags with these reusable pockets from EcoPocket. 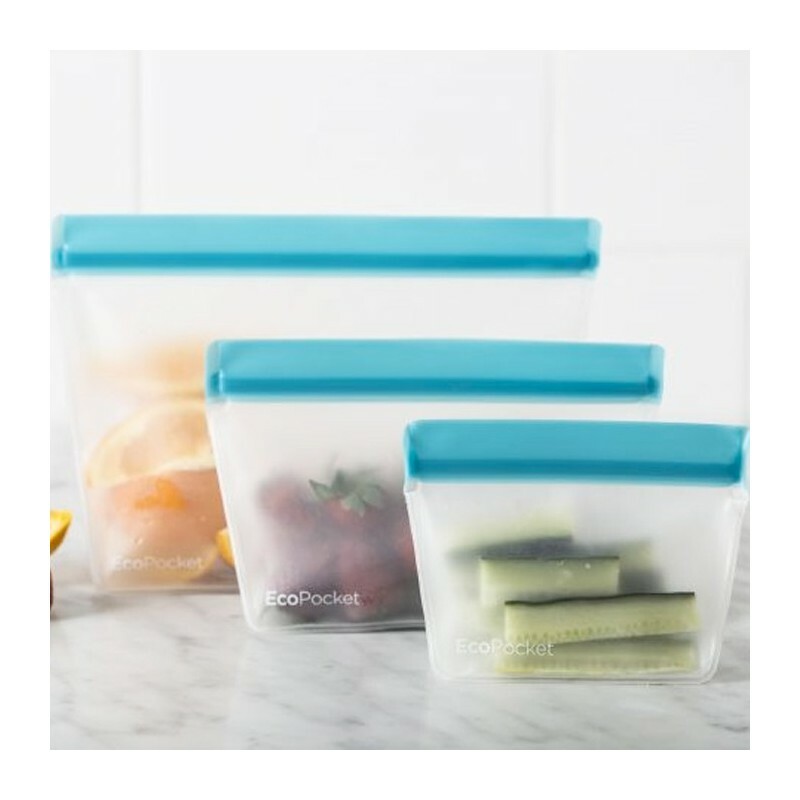 Use to store food, toiletries, and more, with an airtight double lock seal. Made from BPA free and food safe PEVA. 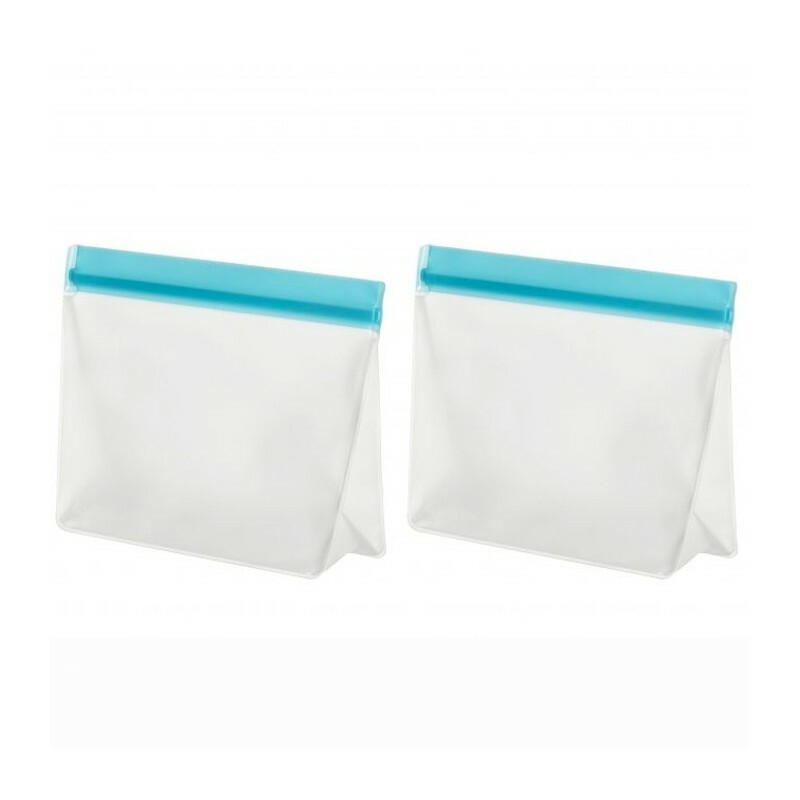 Set of two 6 cup (1.5L) capacity pockets. 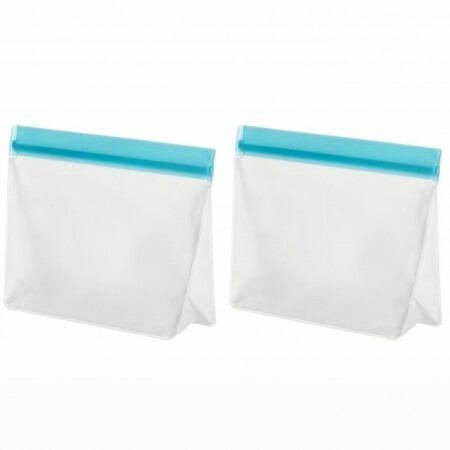 Set of two 6 cup (1.5L) capacity pockets. Transparent with blue seal. 2x 6 cup (1.5L) capacity pocket - 22 x 17cm.